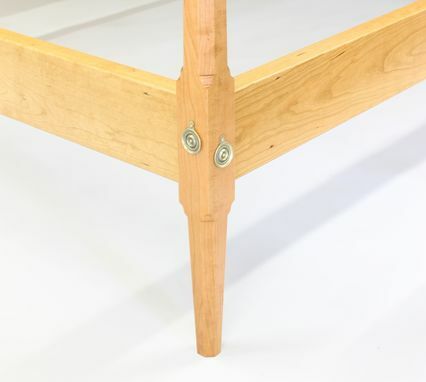 A comfortable, cherry, queen size, pencil post bed. 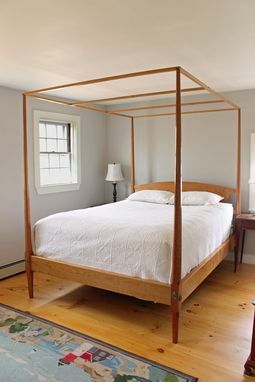 This bed has Lamb's-tongue carvings on each post and also has the client's initials carved on the headboard. 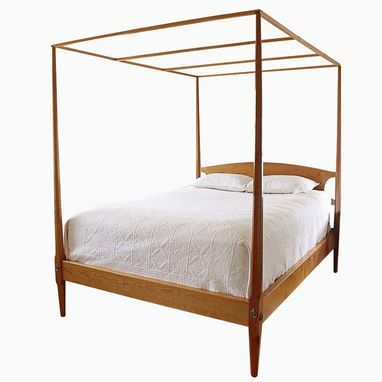 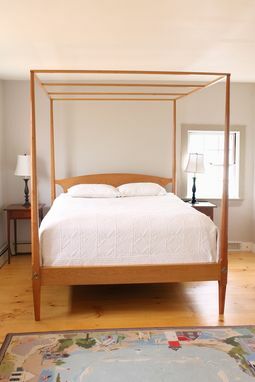 The bed is fully knocked down for transportation and the canopy can be replaced with turned finials if desired.